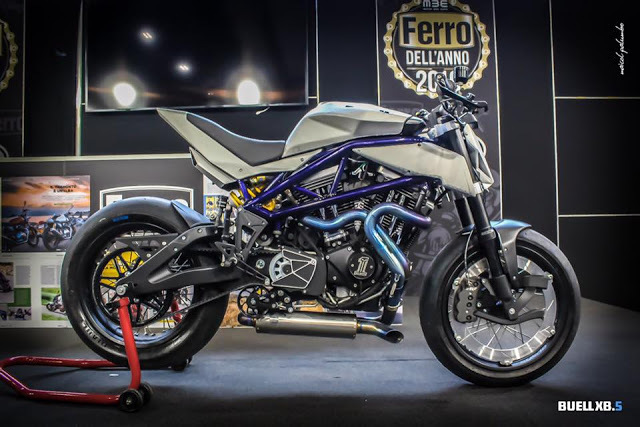 With this Buell XB5, Simone Conti won this years Ferro Dell'anno 2019 title. The Judges panel which includes Oberdan Bezzi, Lorenzo Fugaroli and Mr Martini were convinced that Simone Conti has made something more unique than others. 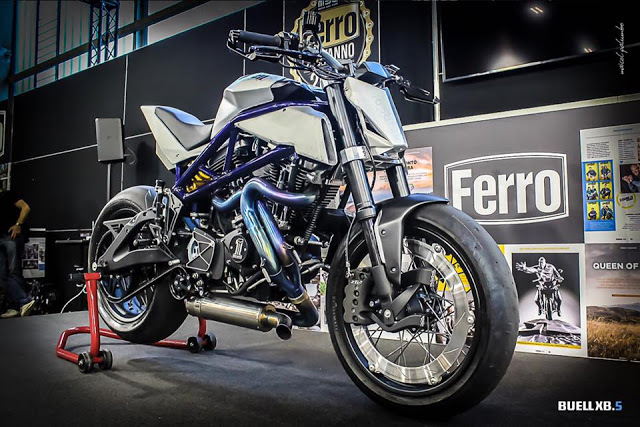 For this he started from the scratch, made body frame in tubes to replace standard one, some aluminium body parts while other parts are being naked. There are some honeycomb graphics for the futuristic looks. 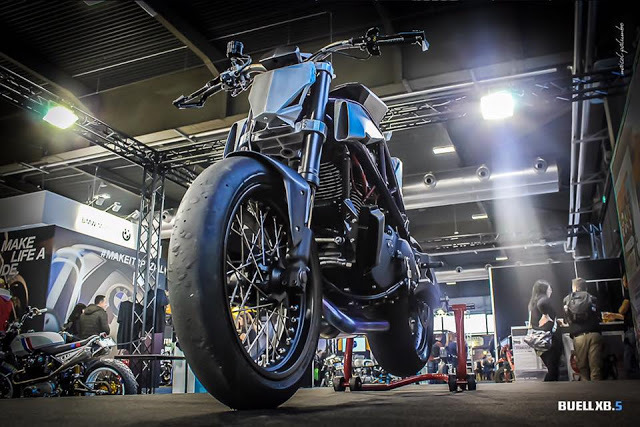 This works was done for Luca Mammarella by Simone Conti.